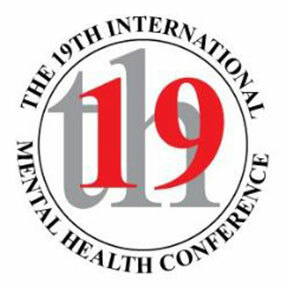 This annual conference is now in its 19th year and continues to be the pinnacle event in the mental health industry. The Conference provides an invaluable opportunity to build relationships and to share knowledge, research and latest policies. The conference program will challenge, inspire, demonstrate and encourage participants while facilitating discussion. The program will explore mental health access and support, service design and specialised clinically focused programs, physical wellbeing and mental wellness, mentally healthy workplaces, disorder management, strategies and support for wellness of mental health workers, ehealth, suicide and harm prevention. The conference topics are inclusive of citizens from the diverse society we live in from the aged, child and adolescent, Aboriginal and Torres Strait Islanders, Indigenous, CALD and LGBTIQ to examine solutions and share ideas in regard to mental health care. Keynote addresses, submitted papers, workshops and case studies will examine how approaches and techniques can be incorporated into daily practice. Featuring Australia and New Zealand’s leading clinical practitioners, academics, and mental health experts, the conference will motivate and inspire professionals (and future professionals) to make change and provide the best possible outcome for those living with mental health conditions. For more information on the conference, visit the website.